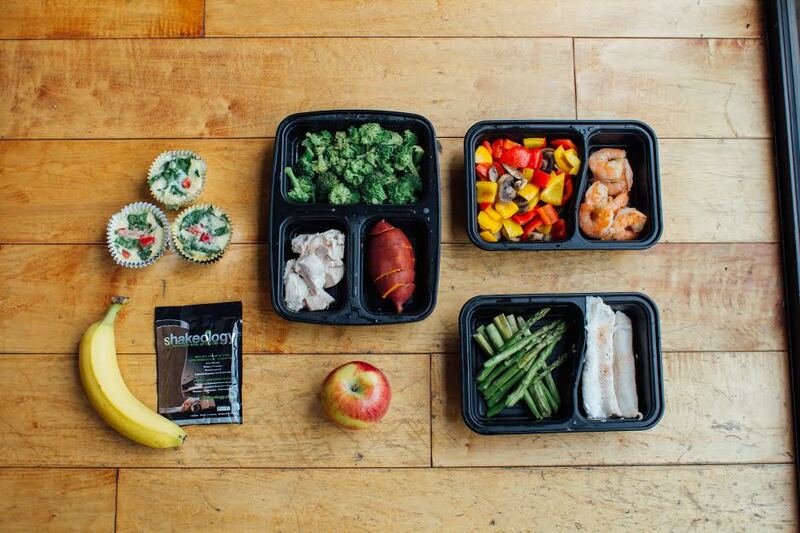 My favorite thing about the 21 Day Fix EXTREME eating plan is that you get so much food! It really makes it much easier to stay on track. I’m in the 1,800-2,099 calorie bracket on 21 Day Fix EXTREME. 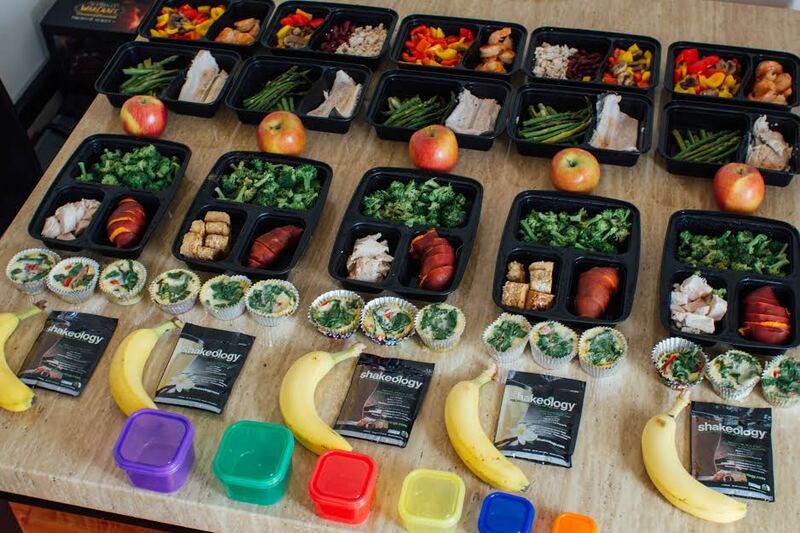 Here’s another 5 day meal prep. You can see the original post on the Beachbody Blog. Above is a sample Monday/Wednesday/Friday day. Above is a sample Tuesday/Thursday day. And here is what the groceries look like before I prep them. Hope this is helpful and good luck on your meal prep journey! A: No at all! I switch it up on a weekly basis and choose my healthy favorites that I don’t mind eating often. I also add different seasonings to keep things interesting. Currently, Flavorgod is my favorite. 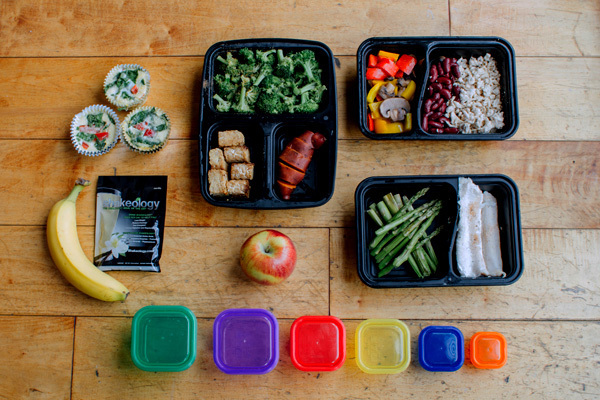 Q: Wait so use the colored containers and dump into the larger ones? Your posts are amazing and VERY helpful !!! Thank you!!! 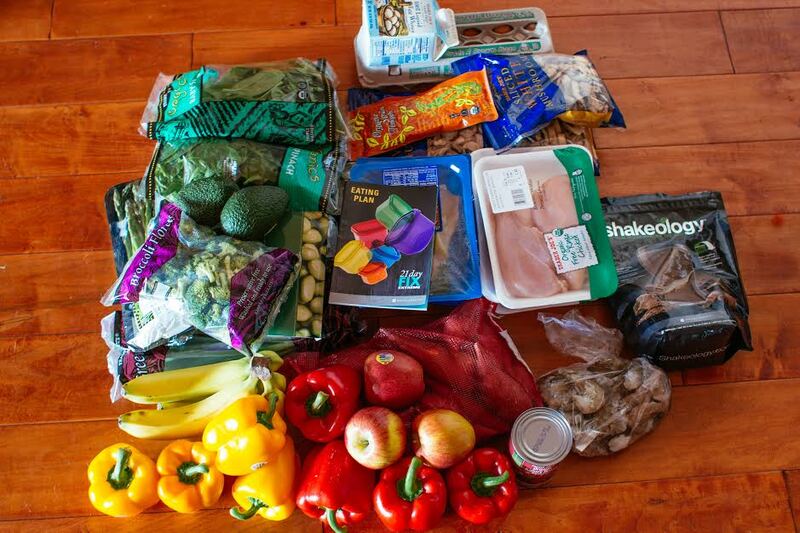 How much do all these groceries cost on average? $100 to $150 on average at Trader Joes. How would I adjust these meals to fit 1200 range?